The story of Esther is a classic tale of good versus evil—where the villain, Haman seeks to wipe out our hero, Mordecai and the rest of the Jewish people living within the Persian Empire during the reign of King Ahasuerus. Through a miraculous act of God a Jewish orphan named Esther saves the entire nation. Purim is a Jewish feast celebrating this riveting story. Each year families gather together, they dress in costume, they eat delicacies, and most importantly they retell this story of God’s faithfulness to His people. Mordecai himself started this ancient tradition. At My Olive Tree we love to celebrate, and the feast of Purim is no exception. 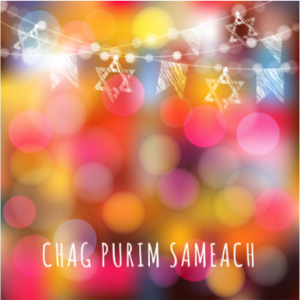 In fact, this is one of our favorite Jewish holidays, as it is an important reminder of why we do the work that we do. We hope your family will celebrate this year’s Purim festivities by sowing into the nation of Israel. Stand with her by planting a tree, or by making a generous donation to our work with foster children or Holocaust survivors. Support needy families of the Israeli Defense force, and much more. On a well-floured surface, roll out the dough to 1/4-inch thickness. (If necessary, divide the dough in two and keep the other half of the dough wrapped in plastic until ready to use.) Use a 2 to 3 inch diameter biscuit or cookie cutter to cut out round circles, and use a spatula to transfer the rounds to the prepared cookie sheet.